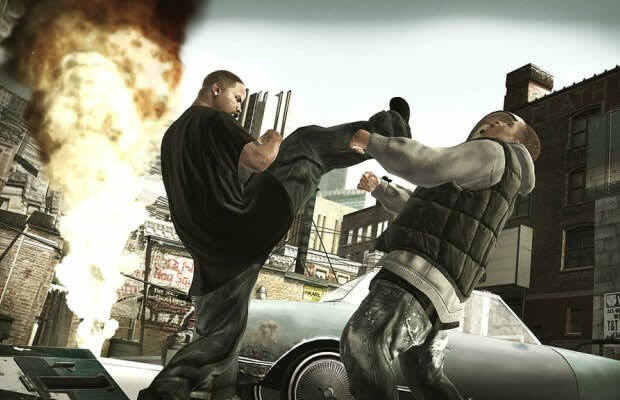 The last Def Jam fighting game moved away from the earlier entries' wrestling roots with a glossy tale of a hip-hop star on the rise – and all the odd fistfights that erupt at gas stations and penthouses along the way. Def Jam Icon didn't play as sharp as it looked, but it did include a rad feature in which the backgrounds would bounce along to the licensed songs. And expectedly, the meaty roster included the likes of T.I., The Game, Big Boi, Bun B, Paul Wall, and Young Jeezy, among many others.